It was ironic, to say the least, that Nigerian President Goodluck Jonathan’s government turned down President Jacob Zuma’s proposal for a South Africa-inspired African Union (AU) rapid response to combat the barbaric Islamist terrorist group Boko Haram – yet apparently hired ex-South African Defence Force (SADF) soldiers to train the Nigerian Defence Force (NDF) to do so. Zuma proposed the deployment of the AU’s as yet untested rapid response force – the African Capacity for Immediate Response to Crises (ACIRC) – at a summit-level meeting of the AU’s Peace and Security Council in Addis Ababa in late January, just before the general AU summit, according to diplomats present. The suggestion was turned down in favour of reinforcing the Lake Chad Basin Commission, building it up to 8 700 soldiers. Just a few days before, though, Beeld newspaper had reported that former SADF soldiers would form the core of a multinational team of private military experts, who were then en route to Nigeria, to help the NDF fight against Boko Haram militants. The 100-strong team had been tasked with training the Nigerian military to launch a massive campaign against the terrorist organisation. South Africa’s Defence Minister Nosiviwe Mapise-Nqakula was deeply unimpressed. These were not ‘ex-soldiers,’ but simply ‘mercenaries,’ she said. ‘They are mercenaries – whether they are training, skilling the Nigerian defence force, or scouting for them. The point is they have no business to be there,’ she told South African journalists in Addis Ababa. She insisted that the police should arrest them on their return and the National Prosecutions Authority should prosecute and convict them to send ‘a message to all of the South Africans who are going around as mercenaries.’ The minister was referring to the Regulation of Foreign Military Assistance Act. Commonly known as the mercenary bill, it makes it an offence for South Africans to provide any kind of military service abroad without the formal permission of the South African government through the National Conventional Arms Control Committee, which is also supposed to regulate the sale of South African arms to foreigners. According to intelligence sources, several ex-South African Air Force (SAAF) pilots are also participating in the war against Boko Haram – under a separate contract – flying Russian Mil Mi-24 Hind attack helicopters, including in night operations, to good effect. And overall, the multinational team of South African and other private military experts and official British, American and French military trainers have by some accounts, contributed significantly to the recent run of successes of the Lake Chad Basin Commission forces against Boko Haram. Of course the Chadian and Cameroonian troops have also made a significant contribution, though the AU operation is not yet fully up and running. ‘The former SADF members are definitely playing a major role in this offensive,’ said a former military intelligence officer this week. ‘They have been in country for a significant time already, involved in training some specialised NDF units. As per normal they are now deployed in an advisory capacity at the front. This includes being deployed with the NDF special forces, artillery, armour and infantry units on the ground. Jakkie Cilliers, Executive Director of the Institute for Security Studies (ISS) in Pretoria, agrees that if the best of the ex-SADF soldiers are indeed involved in the anti-Boko Haram operation, they would be ‘a huge asset’ for Nigeria. Their skills acquired in tracking and operating in the wooded terrain of southern Angola would be particularly relevant to conditions in northern Nigeria. ‘I have always thought that the ANC [African National Congress] made a huge mistake by criminalising the former SADF soldiers,’ he said, referring to the mercenary bill and suggesting the legislation was more ideological than practical. ‘The only thing they have to sell is their counter-terrorism skills. It would have made much more sense to channel their skills productively, such as towards the UN.’ He cited the success of the old private security/mercenary outfit, Executive Outcomes, in helping the Angolan army defeat UNITA (National Union for the Total Independence of Angola) rebels. Neighbouring Chad, Niger and Cameroon were combating Boko Haram on their territory, and collaboration with Nigeria – for example in hot pursuit operations – would not upset national sensibilities in Nigeria. These countries had a direct national interest in the war. Military analyst Helmoed Römer Heitman, a former member of the resource group of South Africa’s Defence Review Committee, also agreed that the involvement of the ex-SADF people ‘is a very good idea from everyone’s point of view – as long as they have picked the right people.’ Especially when the national defence force budget had just been cut, further undermining the credibility of the government’s rhetorical commitment to regional stability. Heitman thought the Nigerians had displayed ‘extraordinary professional insight and moral courage’ to employ the former soldiers. 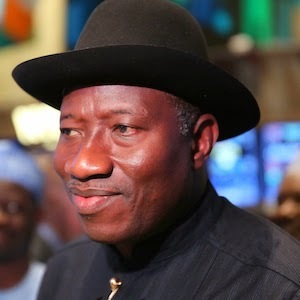 Cynics might suggest, though, that Jonathan deliberately turned down South Africa’s official offer of help through ACIRC, while recruiting South Africans clandestinely, precisely to nettle Zuma. This faintly echoed South Africa freezing R63.8 million wired by the Abuja government to a South African company to buy military hardware last October. Abuja has insisted that the deal had been cleared with Zuma – and the ex-SADF soldiers now in Nigeria have likewise also insisted, according to Beeld, that their involvement was cleared at the highest echelons of the South African government, even if the defence minister did not know about it. Cilliers, though, does not see such a political conspiracy in the recruitment of the South African soldiers – just simple desperation by Jonathan to beat Boko Haram back before the elections at the end of this month, which were postponed by six weeks precisely for that purpose. Still, this episode will undoubtedly further aggravate the sour relations between the two countries. Pretoria is still smarting over what it regards as Nigeria’s incompetent, if not malicious, handling of the bodies of the 84 South Africans who died when a church collapsed in Lagos in September. One of South Africa’s grievances, incidentally, was that Abuja blocked government pathologists from helping identify the bodies – while hiring a private South African firm to do so. That sounds familiar. Another example of good business but bad government relations?